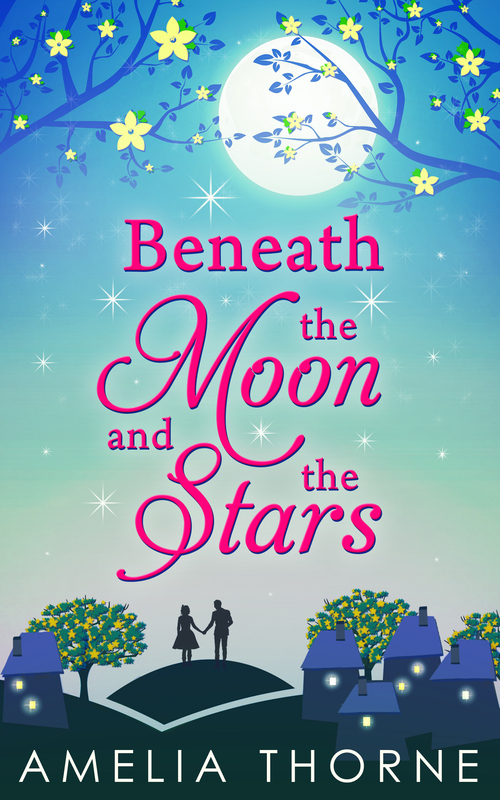 This is the gorgeous cover for Beneath the Moon and the Stars, which is the brand new debut from Amelia Thorne and will be published by Carina on October 17th. Joy Cartier has been to some of the most beautiful places in the world – but none of them have ever felt like home. So moving into a tiny cottage in the idyllic village of Bramble Hill, walking distance from her childhood home, seems like the perfect plan. That is, until she gets there. The surly inhabitants of Britain’s Friendliest Village are anything but welcoming. Even her neighbour, reclusive Hollywood star Finn Mackenzie, takes one look at her and walks in the other direction. It will be available on Amazon for Pre-order very soon. Amelia is a bit of an enigma and seems to be keeping information about herself close to her chest. This is her bio.